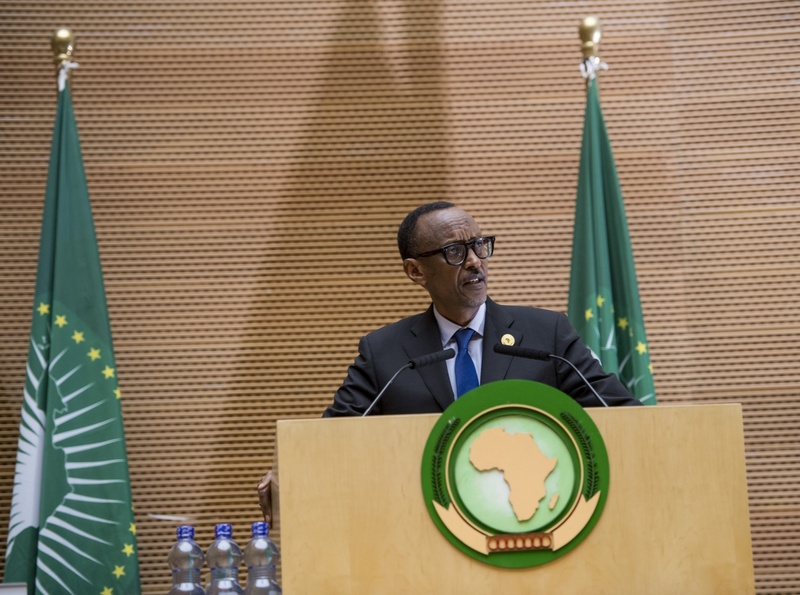 President Paul Kagame giving his acceptance speech at the African Union GA January 28th. 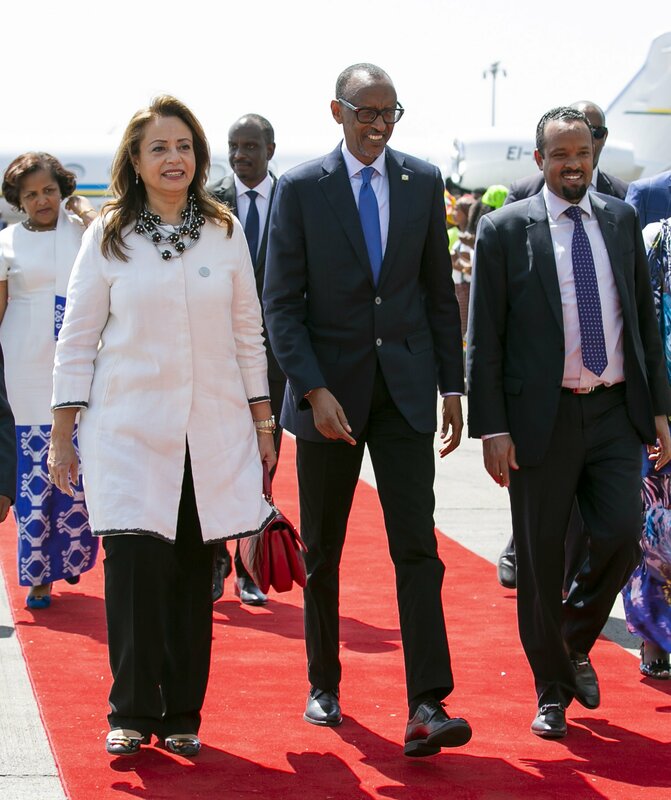 President Paul Kagame and serving Chairperson of the African Union arrived in Ethiopia’s capital Addis Ababa, on Saturday where he is expected handover rotational chairmanship of the African Union. This afternoon, President Kagame is expected to chair the launch of a new initiative aimed at increasing commitments for health and accelerating the path towards Universal Healthcare Coverage. Speakers at the event include Kenya’s President Uhuru Kenyata, Prime Minister Erna Solberg of Norway, President Cyril Ramaphosa of South Africa, and Microsoft founder Bill Gates. Rwanda’s total expenditure in Health sector has increased from 6.7% of the National Budget in 2015 to 17% in 2018/19. More than 90% of Rwandans are covered by health insurances and out of pocket expenditures account for only 8%. On Sunday, 10 February 2019, the President Kagane will attend the 32nd Ordinary Session of the Assembly of the African Union. This will mark the end of President Kagame’s one-year Chairmanship of the Union. The progress during his tenure include long-standing African Union objectives such as Continental Free Trade Area (CFTA), Free Movement of people, common African passport, Peace Fund, and managing Africa’s global partnerships. These initiatives reflect the commitment and aspiration of Africa’s leaders and citizens. 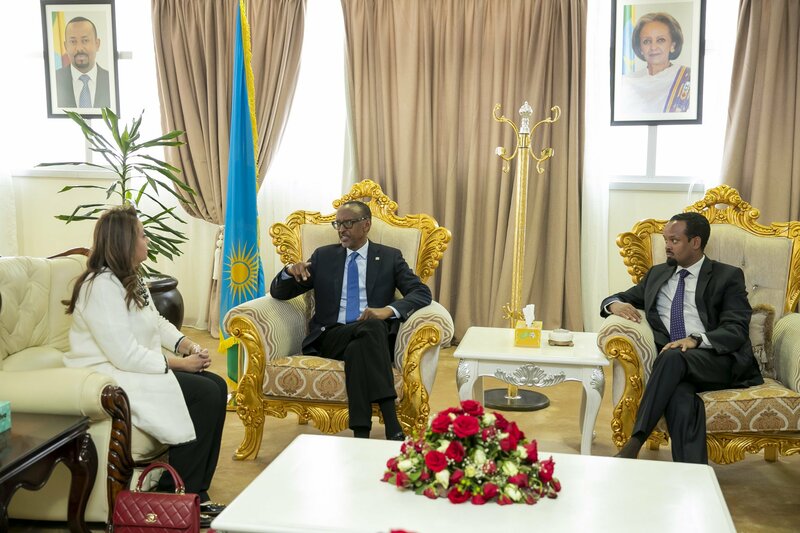 President Kagame will continue serving as a member of the troika, which includes the current chair – President Abdel Fattal el-Sisi as well as the next chair. The President will also continue to lead the AU reform process as entrusted to him by the African Heads of State during the AU Summit in Kigali in 2016.